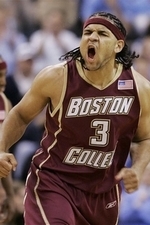 According to Brian Windhorst, the Cavaliers are interested in Jared Dudley, an undersized power forward from Boston. Also, according to some Cavs officials, the Cavaliers have 15 guys they are interested in and would be willing to draft if they can get in with cash. These guys would be available from picks 22-40 according to Windhorst.